This week, the last before Labor Day, is considered the end of summer. Before you go into mourning for the end of the summer season, make sure you’re at least caught up on the latest in social media. Vine Adds New Music Tools: Vine has introduced two new music tools. The first, is a tool designed to help users edit music called “Snap to Beat.” Snap to Beat allows users to edit music such that it seems to seamlessly loop or to create a dramatic closing with sound effects. The second tool, Featured Tracks, lets users explore and discover new music. Featured Tracks can be accessed when a user is creating an Vine and opts to add in music. The tool allows users to select a song or see what other songs have been select by other Vine users. 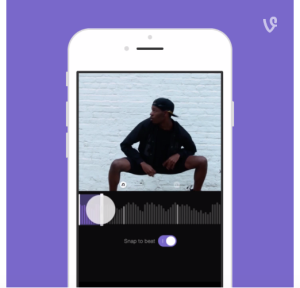 Featured Tracks also lets users find out what song is playing in a Vine they are watching. Instagram Now Offering Support for Portrait and Landscape Images: In a move widely celebrated by photographers and other creative types, Instagram will support portrait and landscape oriented images. The change is available through their latest version, 7.5, for both iOS and Android devices. LinkedIn Introduces New SlideShare Feature: LinkedIn has added “Clipping,” a new tool for SlideShare. As readers might guess, Clipping lets SlideShare viewers select and save the best slides from a presentation. Saved content is saved to a user Clipboard. Saved slides or an entire Clipboard can also be shared with other SlideShare users.